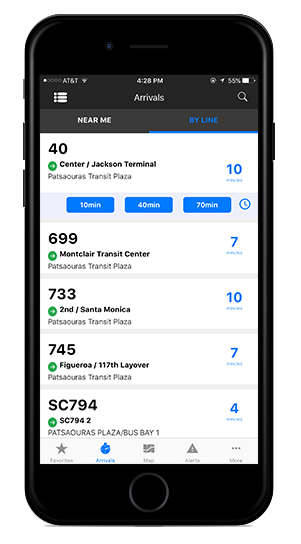 Go Metro to work, shopping, schools or entertainment all over Los Angeles County with Metro’s newly redesigned and customer-friendly mobile application. Whether you're a first time rider and would like to find out how to get started or if you travel frequently and need to plan your trip out on the town, use this app to find all of the convenient ways to get there when you Go Metro. In an effort to provide a seamless customer experience the new app takes design cues from the new metro.net website and has been reengineered with the same platform. 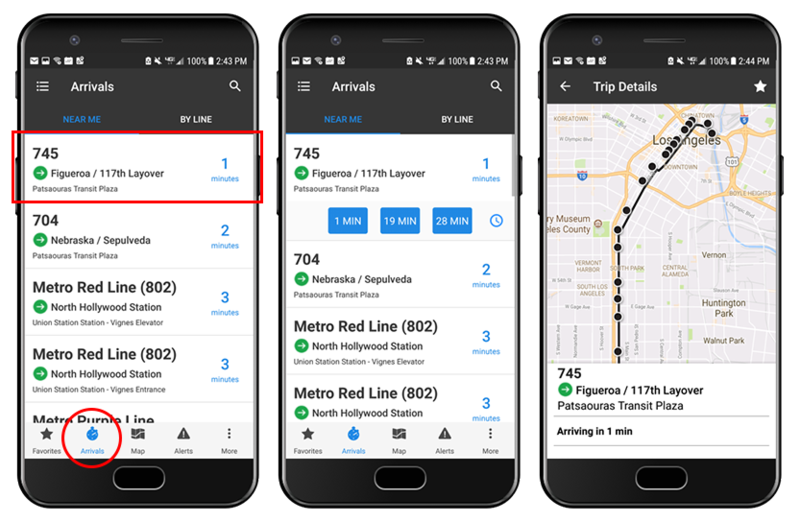 It is data-driven and places customer features at the forefront – the primary focus of the app is to provide transit information (Nextrip, trip planning, maps, schedules, alerts) quickly and accurately. The new trip planner is integrated into the app and will allow mixed mode transit: rail, bus, bike, park & ride, and walking using data from 24 transit carriers. Popular features include type ahead for the starting and final destination, integrated system alerts in your itinerary, planning future trips, and trip preferences such as less walking, faster trips, and fewest transfers. 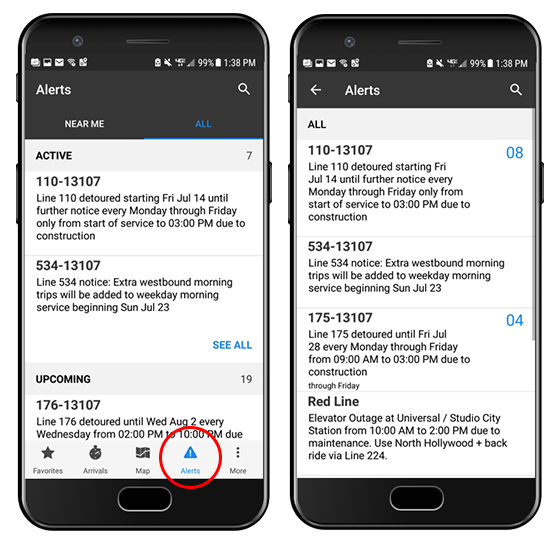 The new alert system provides real-time alerts for bus, rail, and system-wide alerts. Alerts and Advisories are now integrated into your trip itinerary, you can also check system information for your preferred lines, stops, and stations. View a dynamic map of any line, stop, or station for connections, alerts, and arrival times. 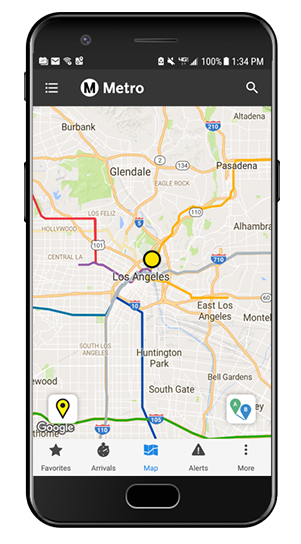 The map will also show your current location in context to the route selected, and you can still download the static maps for off-line use. You can still download the map/schedule of your line or the entire system for offline use. Allow the app to access your device GPS location to get Nextrip real-time arrivals of your line and vehicle. You will also be able to download scheduled timetables for off-line use. Tap a line you’re interested in to see next arrival times, active alerts, and full schedule. 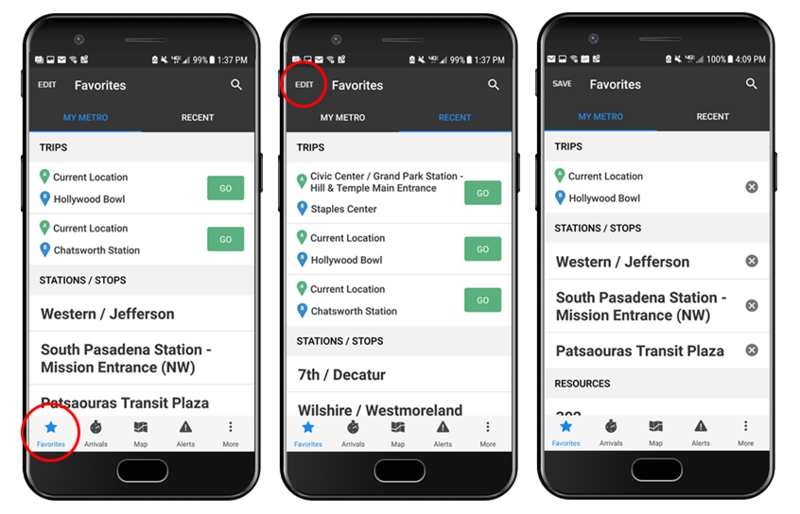 Look for the star icon on your bus/rail lines, stops/stations, and trips planned to add them to Favorites for easy access. You may also edit your travel history and favorites list at any time. 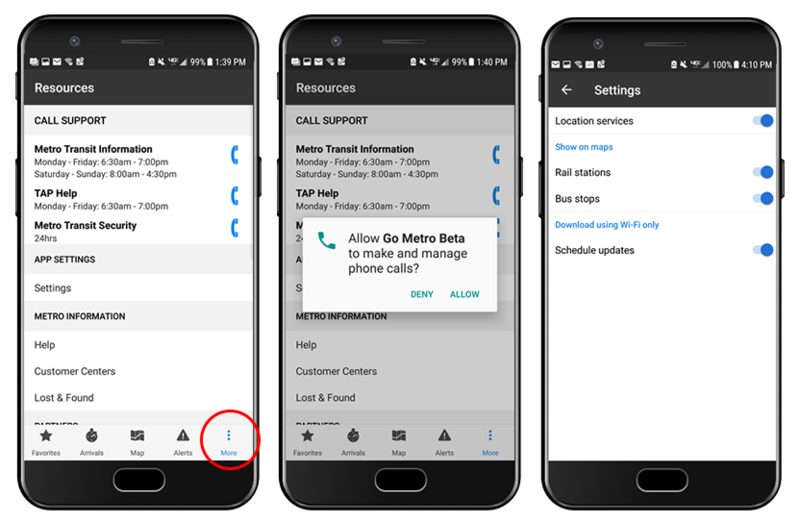 Contact information for Customer Relations, TAP, and Transit Security is now one-click away from the main screen for quick customer help. Locations of Metro Customer Centers and TAP resellers are integrated into the map.